You look forward to a special day. You plan for it. Anticipate how it will be. Prepare. Maybe you travel to where your special day will take place. Then the day comes. It’s lovely. Now it’s over, and here comes the let-down. While Bruce and I were driving back from our Thanksgiving celebration in Illinois, I felt the emotion. In an effort to get out of the emotional funk we both felt, we discussed all the fun things we’d done, the people we’d seen. But the sad feeling wouldn’t go. Now, I know that in time we’ll both bounce back and feel chipper again. But after a while the songs began to repeat, and it wasn’t so fun anymore. I scrolled through the contents and selected hymns we both knew well. 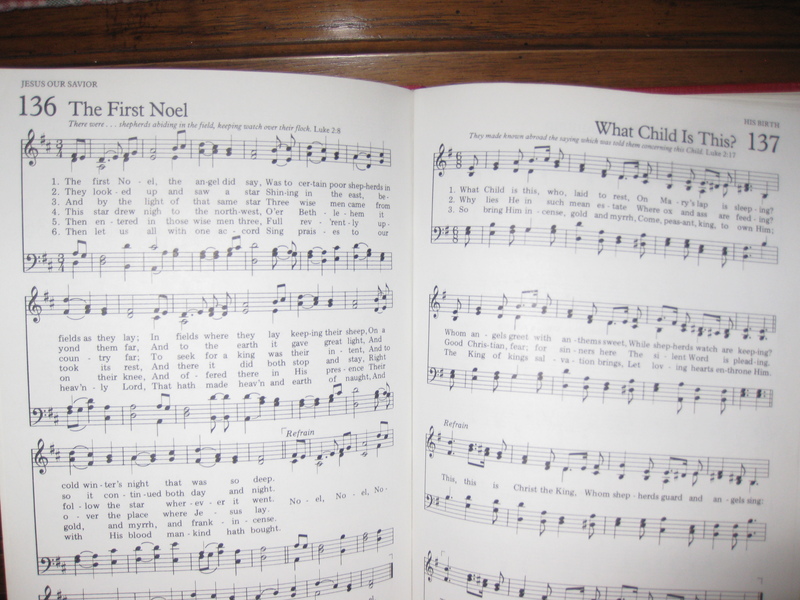 Christmas carols, hymns about the resurrection, hymns about prayer, praise songs, hymns about the love of Jesus. Yes, listening to music is great. But something powerful happens when we fully engage in the physical, emotional, and spiritual act of singing praises. and prepares me to be receptive to what God will communicate while I’m reading the Word or praying. You don’t have to have a great voice to do this. I don’t. Open your mouth and sing. But be prepared. I think the Lord enjoys our worship so much that He sometimes hugs us in mid-song…and takes our breath away! Previous PostThe Boundary WatersNext PostAre You The One?